Our range of products include wall mtg high pressure washing pump, heavy duty high pressure car washer and light duty water pump. 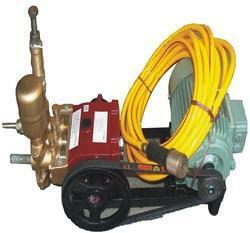 We are the leading manufacturer and supplier of Wall MTG High Pressure Washing Pump made from high quality material. · High-Pressure Car Washer with 3 Pistons. · Suitable for Automobile Service Stations with heavy workloads including HCV’s. We are the leading manufacturer and supplier of Light Duty Water Pump made from high quality material. Looking for High Pressure ?